Construction will proceed without interruption. After ordering construction bot will check the amount of resources required for the following construction and, if necessary, to transport the resources of the donor-villages or exchange on the market or NPC. 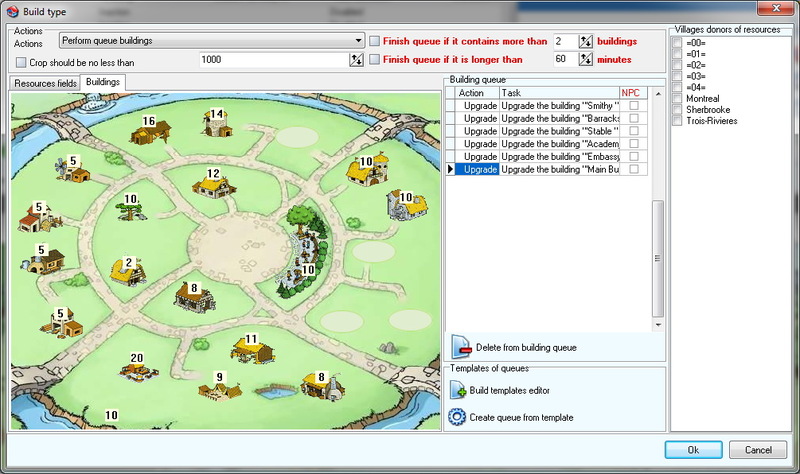 It is possible to complete the selected buildings or buildings, time of construction which more than a certain value, for gold. For the development of resource villages has Automatically build mode – built fields, warehouses and granaries. Bot chooses the next building, depending on the production and availability of resources. Travian Bot understand Roman double build – parallelizes queue.